While my husband and I were dragging numerous bags of yard waste out to the road this evening I glanced over at a citrus tree that had died in a freeze several years ago. It had begun to grow back from the root stalk and is kind of homely looking. 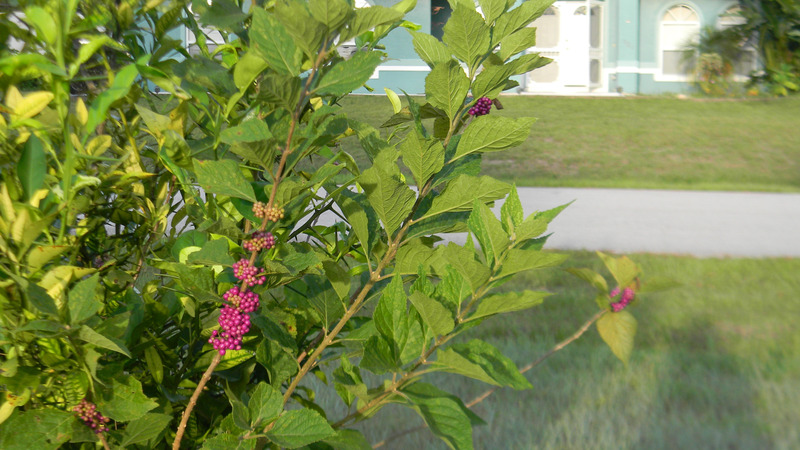 To my surprise there right next to it was a beautiful Beautyberry bush. And the best part was the berries were almost ripe. I have several of these in the empty lot next to my house but none of the berries are ripe yet. I was planning on transplanting some of them as soon as they had finished bearing. Yehovah is so gracious to his people and now I have one that I didn’t even have to transplant. 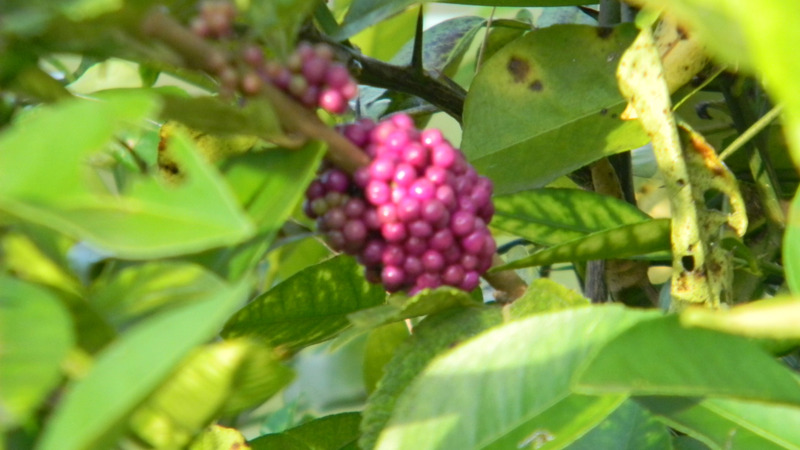 The Beautyberry is not that great to eat on its own but I am told by my gracious foraging instructor Green Deane that they make awesome jelly. Tomorrow I will pick the berries that are ripe and save them for jelly making when I get back from my Precepts training. The leaves of this bush are supposed to be excellent in making a mosquito repellent which will be my next project. 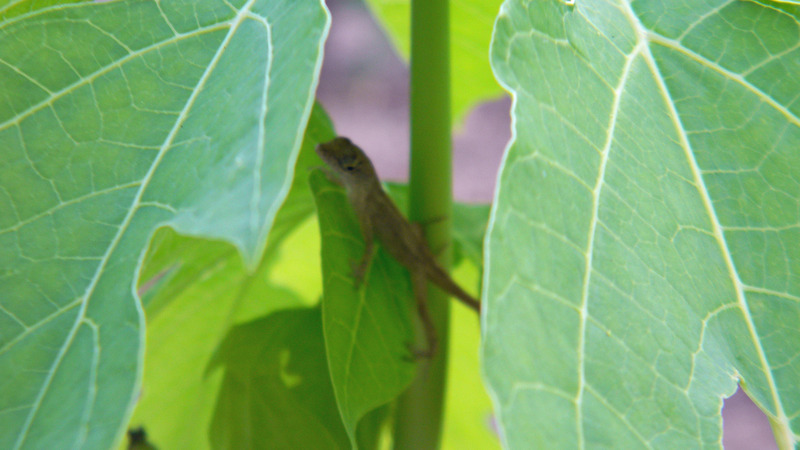 This little guy was hiding in the papaya tree that I checked on before heading back to the house. 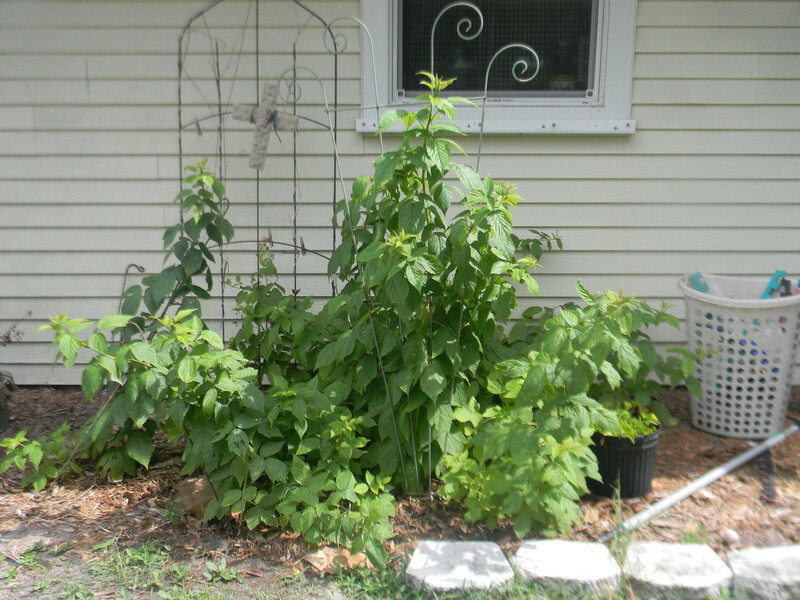 This entry was posted in Gardening and tagged Beautyberry bush, gardening. Bookmark the permalink.